Notes: I have posted a seven minute youtube Flyby News perspective on suppressed information about our distant past. A new program is now in the works with Bart Jordan and Harry Jordan. The new program will be entitled: Harmony of Spheres, Mars, and Viking 1. NASA’s mission in 1976 revealed a clear image of a communication to our world from our distant past. Harry Jordan is not a known blood relative of Bart (though they call themselves cousins); they are actually becoming brothers in a shared objective to show what is really on Mars, and how it was discovered years before NASA’s mission was launched. Proof of this was published in the program of Bart Jordan’s concert performance at Lincoln Center in 1975. 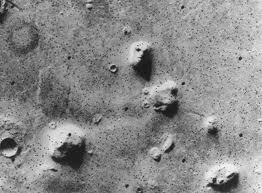 In the hand-drawn program he pinpointed the exact location of a five-sided pyramid on Mars in the Cydonia region, where there is also a monumental face looking back to Earth. The information was also published in his article, Old Measures New Ideas. Bart Jordan first discovered their whereabouts by deciphering a code in the Hellenic (Greek) alphabet and language as a young child. This is where many people may say impossible, but proof is proof. Harry Jordan will make this very clear. As a professional educator, engineer, who had worked independently with NASA, and who had obtained the original images, 66,000 frames from the Viking 1 mission, he had produced models with overlays of the information he received from Bart Jordan proving his direction in that mission. Harry also has recent pictures from the European Space Agency. Check out the statement by Harry Jordan for an FBI Investigation. He never received a response. He also received a NASA file sent to him anonymously regarding extensive surveillance on him and family, claiming he had proof of what would be “embarrassing” to NASA. To me it is embarrassing to be human with the ongoing atrocities all around, destabilizing truth for greed, with power and fear in charge. Yet with veterans like Bart and Harry Jordan, our time approaches, truth will set us free. Did NBC Cover Up Role of U.S.
Is the Man Who Filmed Eric Garner’s Death in Jail? Is U.S. Abandoning Americans in Yemen? Stage Set for the Big War?